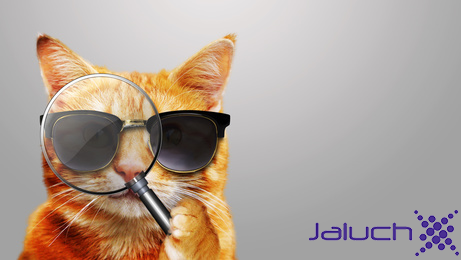 Welcome to this two-minute HR Blast from Jaluch, which examines the importance of conducting thorough investigations when allegations of bullying and abuse are raised by staff members. Unless you’ve been hiding under a rock for the last couple of weeks, you will have seen the drama in the Celebrity Big Brother household created by ex-Emmerdale actress Roxanne Pallett sensationally claiming that a play-punch delivered to her by Ryan Thomas was him beating her up, and that she was afraid for her life – demanding that the ‘wife beater’ be made to leave the house (the equivalent of one employee insisting that you sack another). It was an accusation that could have ruined his career, and which left him in tears. There is no denying that she appeared genuinely distressed while on the show, however she is an actress and has since admitted that she overreacted and that it was indeed a playfight, not abuse, apologising for her role in potentially undermining victims of actual domestic violence. Thankfully, the ‘incident’ was filmed, and therefore there was clear evidence that he didn’t punch her maliciously in the way she claimed. But what do you do when you receive a bullying allegation? What if there is no CCTV? What if it’s one word against the other, or someone makes a vexatious claim? Well, you definitely shouldn’t jump to any rash conclusions, and neither should you suspend the accused on the spot! The key to avoiding taking formal action which could end up being unfounded and damaging, is to first thoroughly investigate the allegations. This could be someone’s career on the line! You also have a moral obligation to staff – those who are bullied experience lower job satisfaction, often suffer health issues and at times also lose their job either through quitting or because they are bullied out by the individual concerned (if there is one). Would you wish this to happen to you? To minimise the impact on employees and the wider organisation this needs to be dealt with decisively. Witnessing bullying can impact staff well-being and employee morale – especially if it is thought to be happening unchecked. This is not an exhaustive list, and if in doubt, speak with your HR department or sense check with a manager experienced in investigating matters, when running an investigation. However, this should be a great starting point! Don’t underestimate the time and energy it takes to investigate or fact-find properly, and be aware this might be stressful for you – the key is in making sure you are prepared, following a sound process and taking advice when needed. There should already be a robust Bullying & Harassment policy in place. Depending on the organisation, this might be a stand-alone policy, or be part of an Equal Opportunities, Dignity at Work or Grievance policy. If you haven’t got anything in writing in place, introduce one without delay – policies are available from Docs Wizard (or read our article on ‘Bullying in the Workplace’). Wherever the process for investigating these matters, follow the steps in your own policy! Make sure you remain impartial and don’t draw any conclusions until you have been able to review all of the evidence. Also make sure you don’t involve anyone at this stage who may end up being involved in a later stage of the process if the allegations are proven i.e. someone who might chair a formal disciplinary meeting. A thorough investigation will normally mean getting a written statement (could be a complaint letter or email) from the employee raising the allegation to understand the details of what they’re saying. If necessary, and depending on how detailed their statement is, meet with them to ask questions and better understand the allegations to obtain the facts. Check your policy to see if they have a right to be accompanied to any meetings – if you are dealing with the matter as a Grievance, the person raising the complaint or allegation normally has the right to have a Companion with them in the formal grievance meeting. It’s important to make sure you understand what resolution they are seeking. There is a need to be clear that in order to investigate the matter, you’ll need their consent to talk to the person they’re raising the allegation against, as well as any potential witnesses. You should meet with the person the allegations are against. Get their version of events. Be ready to acknowledge their feelings about this – they may become distressed, defensive or aggressive. They may also talk about resigning – in which case, encourage them not to make any hasty decisions! But whatever their feelings, be upfront that the investigation may result in referral to a disciplinary hearing but only after completion of a thorough investigation of all evidence and only if the evidence shows the allegation is likely proven. Meet with any/all witnesses and ask them open questions to obtain the facts of what they personally saw (anything else is hearsay). Be clear with witnesses that their statement may later be used as evidence at a disciplinary hearing if the allegation(s) is/are proven. Ask for their consent to this. Make sure that all parties know that the matter is strictly confidential. Make sure that all statements gathered are agreed, signed and dated by the individuals concerned. Don’t be bulldozed by someone using a bullying allegation to get out of something else such as disciplinary action against them. The employee raising the allegation, and the accused, should both receive an outcome in writing. However, you have to be careful what you tell to who – please seek HR advice on this, as otherwise you may have a data breach to contend with next! Good luck  and please feel free to circulate this to your managers who are often on the front line when alleged bullying issues are raised. If you have any questions about any of the above please do call on 01425 479888 or send an email to our query inbox and one of our expert HR Consultants will be in touch. Chairing formal disciplinary or grievance meetings. Leading, supporting or advising on disciplinary and grievance investigations. One to one coaching with staff requiring individual support.